Given that there are more than 7 billion people on the planet and only 365 (or 366) days in a year, it is clearly impossible for every person in the world to have a different birthday. Taking smaller groups (ie. 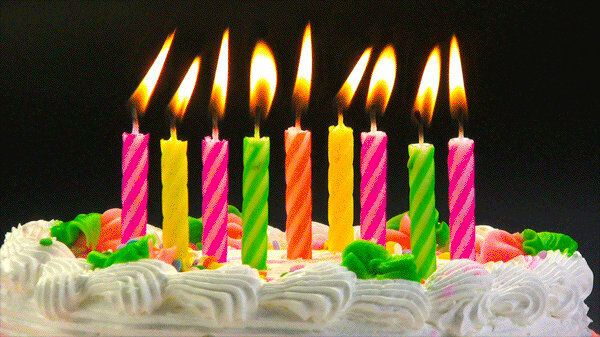 groups whose members number fewer than 365), the chance of everyone having different birthdays would increase. It is simply a matter of odds. Factors for working out the probability of sharing a birthday, or having consecutive birthdays, include the number of people in a given group as well as (ignoring leap years) using 365, which is the number of possible days a birthday can be. The same number can be used in a slightly different equation to determine the likelihood of people having consecutive birthdays. I will openly admit that, when I looked for information regarding such probability, the equations confused me. Simplified, the odds of meeting a person who shares your own birthday are 1/365 or 1/366 and it would be reasonable to assume that there is a 1/183 chance of meeting a second person with a shared birthday. However, statisticshowto.com uses this as a base but explains how such a statistic is more complicated than it firs appears. While I have known other people have, for example, two children born on the same date in different years, I assumed it was a coincidence and that it would be an uncommon scenario. When I discovered that my mum's birthday was the same day as both my partner's mum and my partner's niece, I thought it strange. (I'm not quite sure whether to take that as some sort of sign — good or bad, I'm not saying). However, it was when my partner's grandchild was born on my niece's birthday that I began to wonder a little more. Then we have a lot of birthdays close together, including my son and step-daughter a day apart. Upon my mentioning that it must be statistically unlikely, my son, who is currently at college studying maths and physics, informed me that he and his class had conducted some research in the area and found it to actually be quite common. So, me being me, wanted to find out just how common. Me also being me also didn't want to do the maths, so I Googled it. It seems that the statistical probability of sharing the same or consecutive birthdays is around 1 in 22,000, or just over 70 percent. Of course, this likelihood increases as the group increases. My partner and I both have large families so, in fact, it would be logical and likely that some will share birthdays with others. For anyone curious, there are graphs and formulae here. As mentioned above, our youngest niece shares a birthday with our youngest granddaughter. Apart from that, our eldest son's birthday is a day after our youngest daughter's but, the thing which I thought was far less likely than it apparently is: my mum, our middle niece, and my partner's mum all share the same birthday. The latter five (plus one other) are all in the same month, within a week of each other. As common as it may be to share birthdays within large groups, I still find it strange that such a large group in my case has a close concentration of birthdays. You would think, perhaps, they would be a little more spread out. However, other than a few dotted around April, May, and June, most are from October to March.